december daily | eat. play. sleep. I saw this idea on Ali Edwards’ blog. If you’re a paper crafter and haven’t checked her site out yet, do it! She’s got some great tutorials for all kinds of things and does awesome giveaways every week. 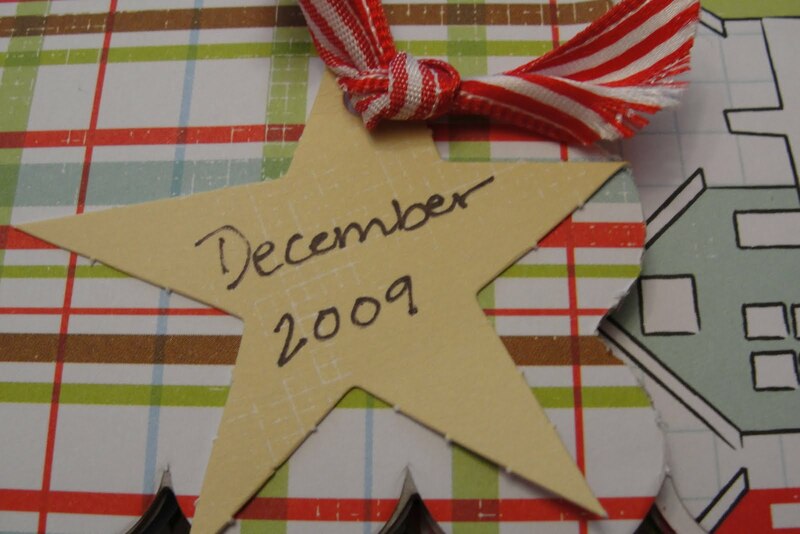 She’s made a December Daily album every year, where she counts down until Christmas. I liked the idea, but wanted to do all of the days in December so that I could include Hanukkah, Christmas, and our annual New Year’s party. It’s a busy month in our house, so I liked the idea of having one book with one small page per day for a picture or whatever. It took me an afternoon to whip this up. 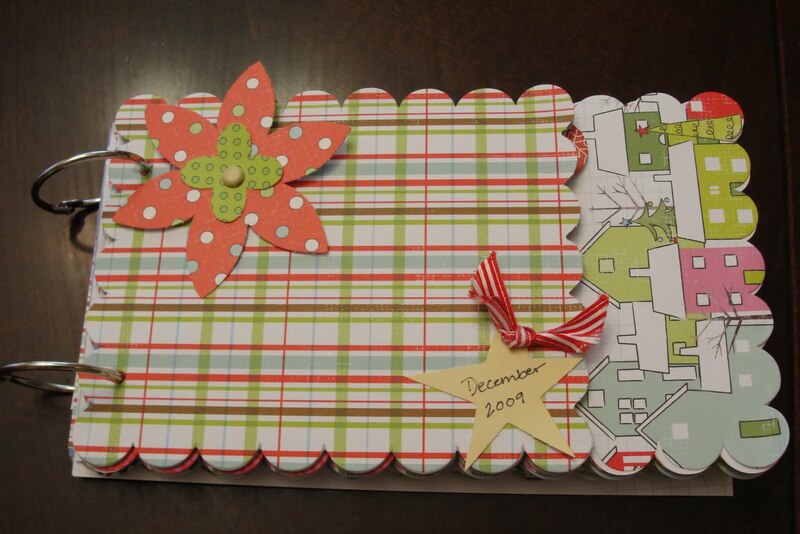 I used a chipboard album that I got at Micheal’s for the base, but if you’re not lazy like me, you could make your own. Ali used an actual album, and recovered it. I’m too lazy for that, so I just used the 4 chipboard pages for the front, back, and two middle pages. 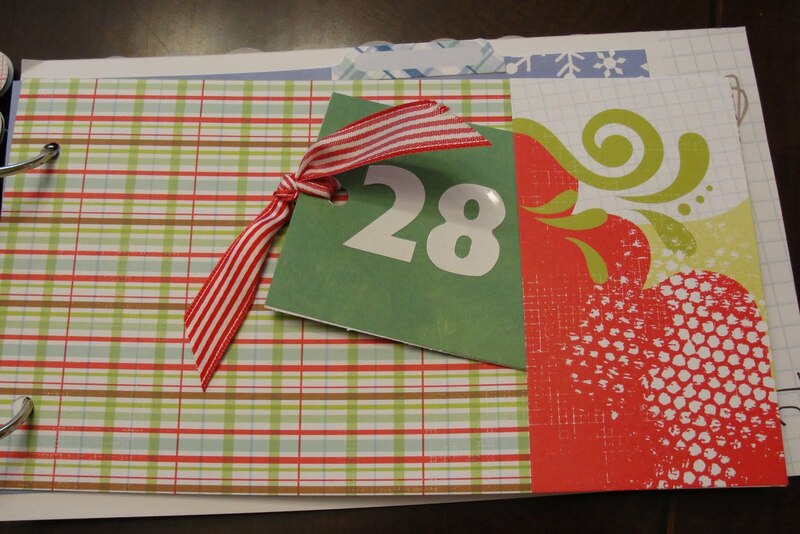 Then I used either my craft knife or my Cricut to make the rest of the the pages. I couldn’t find Hanukkah paper anywhere (!!! 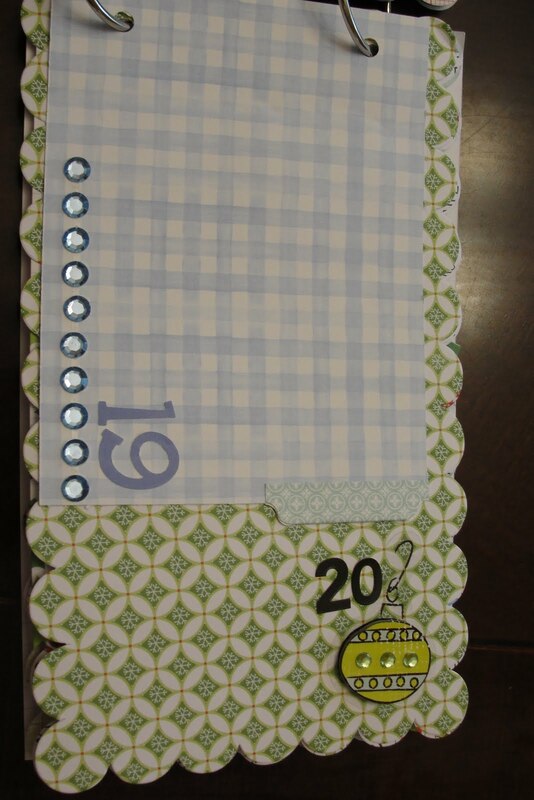 ), so I had to make due with blue and white paper. I did find many, many “December” paper stacks that of course were made up solely of Christmas paper, so I used one of those and made my embellishments with the Cricut. Here are a few pictures of the finished result. I can’t wait to fill it in next month!